More than 50 000 cattle worth $50 million has been lost over the past year owing to the January disease and more cattle are set to be lost if financial resources are not provided urgently, legislators have heard. At least $11 million is required to contain the disease which is spread through the bite of the brown ear tick and could be averted by dipping of cattle. This was said by the Director of Livestock and Veterinary Services in the Ministry of Lands, Agriculture, Water, Climate and Rural Resettlement, Dr Josphat Nyika, while giving oral evidence before Parliament’s Portfolio Committee on Agriculture chaired by Gokwe Nembudziya legislator Cde Justice Mayor Wadyajena (Zanu-PF). The ministry had been invited to give their 2019 National Budget analysis and how it impacted on their operations. Midlands traditional leader Chief Ntabeni wanted to know what Government was doing to deal with the disease commonly known as January disease. “Our bid was $67 million and it was precisely to cater for the chemicals, as well as foot and mouth disease vaccine both of which require foreign currency,” said Dr Nyika. “Currently, we are not dipping because we have run out of chemicals. Dr Nyika said the vaccine for the disease was manufactured in China. Dr Nyika said several efforts to engage the central bank and Treasury had not produced meaningful results. He said in the 2019 Budget, they got an allocation of $7 million against a bid of $11 million for the January disease. 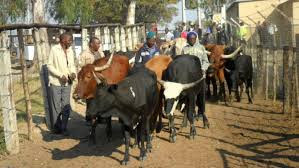 “Now, with this deficit indicated in this budget, we are going to lose more cattle in 2019,” said Dr Nyika. “This disease is active in the rain season and that is now upon us and cattle are dying and they will continue to die. “If we are to be provided with foreign currency today, we would require a lead period of six weeks of manufacturing and distribution. “We have 4 000 dip tanks that we run with farmers and all these dip tanks are not dipping. And let me also remind the chairperson that our economy is agro-based and while agriculture is the back-borne of the economy, livestock is the backbone of agriculture. Dr Nyika said they owed Botswana $3 million in foot and mouth vaccines that was delivered recently. Responding to another question, acting director for resettlement Mrs Kundai Makuku said at least 234 farmers had been compensated.